I am just the king of pithy titles this week. Feeling very literal, I guess. A while back I wrote on the forgotten variable in low light photography. We're all familiar with manipulating shutter speed, aperture, and ISO as a way of keeping images sharp when shutter speeds droop, but few people consider this when shooting in low light. The old (and reasonably true) saying is that your shutter speed should be equal to or higher than the millimeter on your lens to avoid motion blur. Sometimes, though, we're stuck with a shutter speed that is below this rule of thumb. Setting your mode to the fastest burst setting, and taking multiple shots for each "picture" (in other words, press and hold through multiple shutters) is a technique for increasing your changes of a sharp image. A portion of hand-held motion blur occurs with the act of pressing the shutter. We're pushing down with one finger, and up with our other hand holding the camera. Once the motion is complete, the camera is steadier. This might seem like a fairly useless tip that produces a dozen images (albeit a few slightly sharper than the others) to sift through. 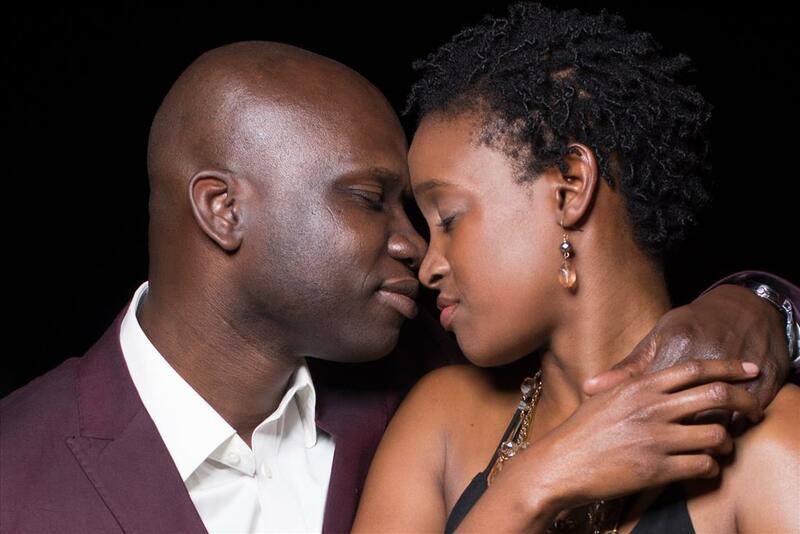 But if the moment you're attempting to catch is the bride and groom's first kiss in a church that doesn't allow flash photography, it may be worth the frustration. Editing images on a laptop has its drawbacks. One of them is lack of screen space, which makes scrolling through Lightroom presets a pain. I'm not a fan of presets. I believe each image should be uniquely edited, and that you should be able to easily duplicate the look of any preset you own. After all, presets don't import any new functionality to Lightroom, they adjust the sliders already in front of you. But there are times when presets give me an opportunity to see wildly different versions of my images to spur my imagination. The problem is that out of the 80 or so presets loaded on my computer, there are really only 10 or so that are interesting. And they are a devil to find in the menus on a small-ish screen. I always wanted a feature where you could rate and filter your presets. Lightroom doesn't offer it, but there is another solution. 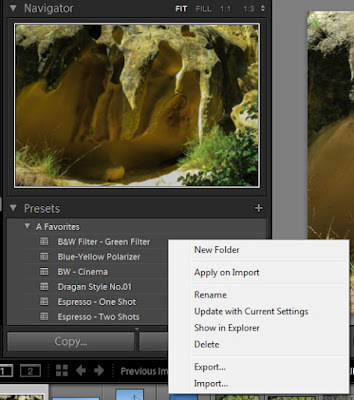 You can create a "Favorite" preset folder for your most commonly used presets. The easiest way to do this is to copy them over from their original location. Lightroom makes this easy with the ability to right-click on a preset and select "Show in Explorer." This takes you to the preset in it's original folder. Copy you desired preset, go up to the next folder level (Develop Presets) create a Favorites folder, and paste in the preset. In Lightroom, the presets folders are listed alphabetically. I labeled my folder "A Favorites" so it would be on the top of the preset list for easy access. If you have a lot of presets, it will save you a lot of time. It’s good to connect with start-up companies-- I think they understand the value of imagery more than established companies. For one, they have less to lose and are willing to be more adventuresome, and more flexible. Jillian Leigh with Wear Your Love is exactly one of those companies. She creates gorgeous boutique wedding dresses. The style is simplicity and elegance. 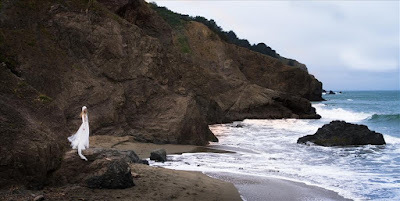 For our shoot, Jillian wanted the dreamy quality of the beach and I suggested China Beach in San Francisco. I picked it for the granite cliff that would provide both a middle-toned background, and shade in case the sun was shining. Step back for an environmental portrait and you’ve got a stunning background as well. It’s challenging to have your images rise above the competition-- which is exactly the point in marketing. Emotion is one quality that can give your pictures a boost, but it’s not always easy to manufacture-- especially if you’re working with a solo model. Research is what every working photographer should fall back on. Jillian shared some of the images that inspired her; I studied the work of other “bohemian wedding dress” sessions; and I plotted out the sun’s travel with The Photographer’s Ephemeris, an online tool. I reviewed my own images as well, and packed my bag accordingly. I have an deep-seated fear of beach shoots. The sand gets everywhere-- the reflections, the wind, the beachcombers... they're all difficult to manage. Which is part of what attracted me to the shoot. The images were shot almost entirely in natural light, and mostly (because the day was overcast), without even a reflector. The majority was shot on my trusty Nikon D600 with either a 35-70mm f/2.8 or my 80-200mm f/2.8. A number were shot with a Pentax 645D and 45-80mm f/4 lens. On the second day of the shoot, Jillian’s boyfriend joined as a model, which revived some of the energy from the first day. You can see more of the images we created at Hurricane Images, Inc.
It’s been about 15 months since I started Hurricane Images Inc. I’d worked on occasional projects for years, and my pictures appeared in publications and brochures, but I didn’t consider myself a professional (rightly so, skill-wise). Even when I took the plunge in 2014 I still didn’t fully qualify. Over the last couple of months I feel like I’ve started to find a sweet spot, financially-- a magical place where my skill, portfolio, and asking price have aligned. It’s not as much (financially) as it could be-- and not all of the work I do are in the zone-- but my hire-to-rejection ratio as increased significantly. And I think there’s a sweet spot for everyone, regardless of skill level. Finding your sweet spot means you hire more often, learn faster, and take reasonable risks that don't put your reputation in danger. The question of whether to work for free is debated endlessly online, in part because everyone thinks there’s just one answer. In truth, there’s not even one good answer for one single person. When you’re just starting out, the marketable quality of your work may be right about zero; similarly, if you’re transitioning into a new genre of photography you may benefit from greatly reducing your fee (or offering a free session) to build your portfolio and gain experience. Free shouldn’t be a dirty word. There’s a $$ sweet spot for your work, and it can vary based on your portfolio. I don't, for example, in genres like "event photography" because I'm rarely excited by the project and my portfolio is strong. It needs to be a money-maker. I will slash my rates to work with a fashion designer who has lined up a model and MUA because the images-- and relationships-- can be more valuable than the money. The common advice is to specialize as narrowly as possible to be successful. Be a wedding photography (who maybe offers engagement sessions) or a headshot photography (who may also do portraits) or a product photographer (who may shoot food as well as jewelry) but don’t try to be more than one. I don’t adhere to that advice. I consider myself a people photographer, which means everything from headshots to weddings, fashion to editorial. I am a better at some of these than others (and I have fuller portfolios in some versus others), so my prices reflect that. Many working photographers say that when they raised their prices, they actually increased the amount of work the got, and I believe them. But it doesn’t mean that’s true for the world at large. Photographers who raised their prices and their work decreased went out of business-- only the successes get to tell their story. Next year, I’ll probably have to raise some of my prices, too. I won't do it across the board; I'll raise prices in a few genres. Doing so will most likely reduce my business and knock me out of the sweet spot. But the advantage will be that charging more will put more pressure on me to produce superior work, and with a little luck I’ll be able to find my zone again. How will I know it’s time to bump up? When my portfolio for that genre is so full that new work doesn’t really change people’s impressions, and when I just don’t have time for all the sessions. My one bit of advice for any “growing” professional: Shoot above your price point.